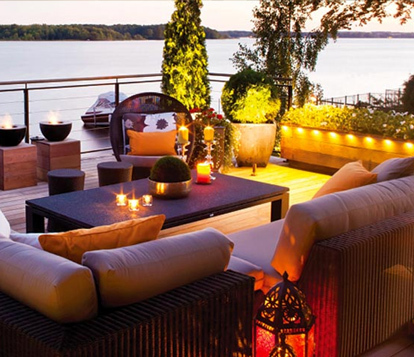 Set the stage for festive parties, romantic evenings, or relaxing weekends in your back yard by creating unparalleled ambiance with one or more of these simple outdoor additions: Lighting, Fountains, and Fire. 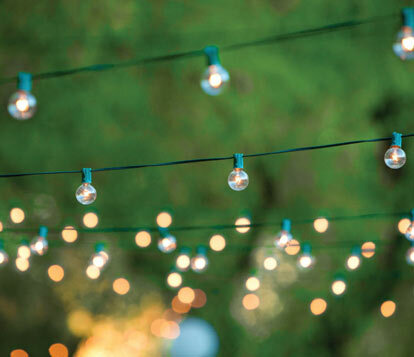 Extend the use of your back yard into the night with string lights, lanterns, umbrella lights or landscape lighting. Whether to light up the whole yard, emphasize distinct landscape features, or add soft mood lighting, outdoor lighting sets the scene for any occasion. While string lights and umbrella lights take a little time to put up, it is an easy DIY process. 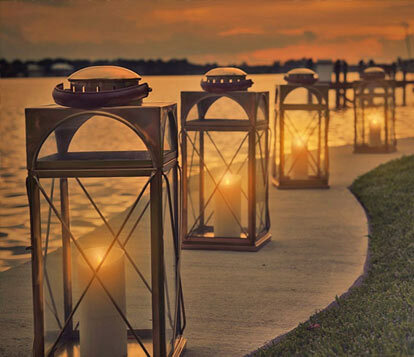 Many lanterns hold worry-free battery or solar operated candles, others utilize lit candles. While some landscape lighting requires professional installation, many solar options have come onto the market that make setup a snap. 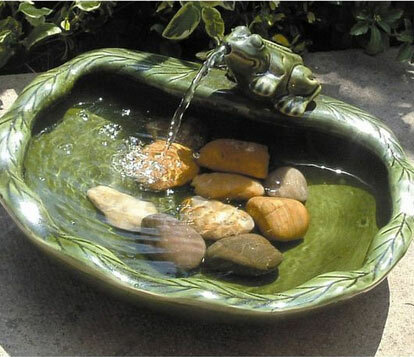 Grand or petite, a fountain adds interest and atmosphere to your porch, garden, or patio. The subtle sounds are soothing and relaxing. The soft splashing can drown out less desirable noises in the back yard and the water will attract birds and other wildlife. A built in water feature can be used to create a backyard pond that facilitates different types of vegitation and even koi or other fish. Many larger fountains require a power source, however solar fountains can be installed anywhere that they receive ample daytime light. 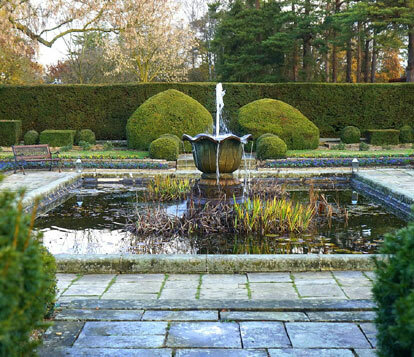 By adding a fountain or water feature, any empty area in your yard can be turned into a focal point. Make the most of your patio or pergola by adding the element of fire. Take the chill off on a cool evening and extend the use of your back yard for more months of the year with a fire table or fire pit. Nothing matches the warm glow and crackling sounds of a fire beneath the stars. 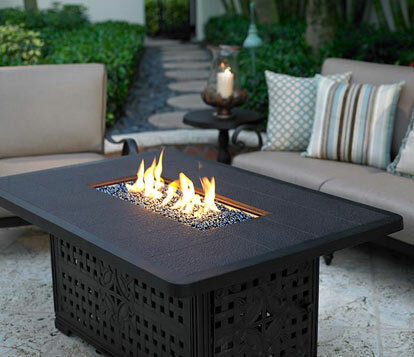 There are lots of options, choose from small table top fire pits that run on ethanol, wood burning fire bowls, or conversation sets centered around a fire table fueled by either propane tanks or natural gas. Many options are easy to set up yourself. Whether roasting marshmallows, staying toasty or merely to add atmosphere a fire pit is an easy addition to take your patio to the next level. Read more about elevating your back yard in our related articles: Creating an Outdoor Oasis and Outdoor Living.